Get your bedroom or dorm gaming center organized in style with the LevelUp Stealth Mini Media Storage Tower. The Stealth Mini Tower is small enough to fit on your desktop. 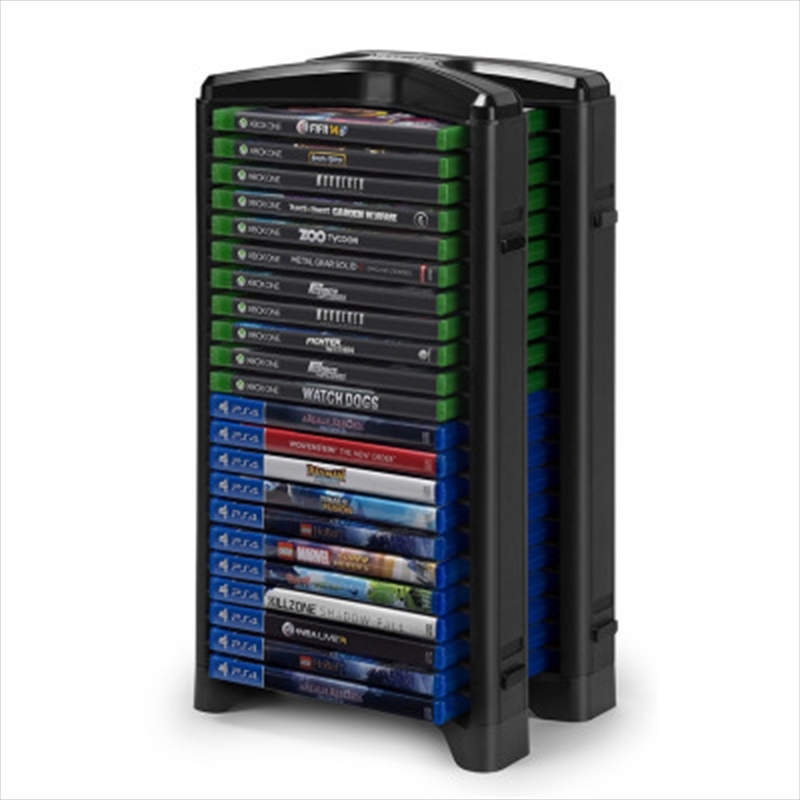 Constructed of durable black PVC, the mini tower holds a total of 22 DVDs, Blu-ray discs and game cases. The Stealth Mini Tower can stack vertically and horizontally allowing for easy expansion of your media library. If floor space is limited, it can be mounted on the wall (includes all hardware and mounting template).